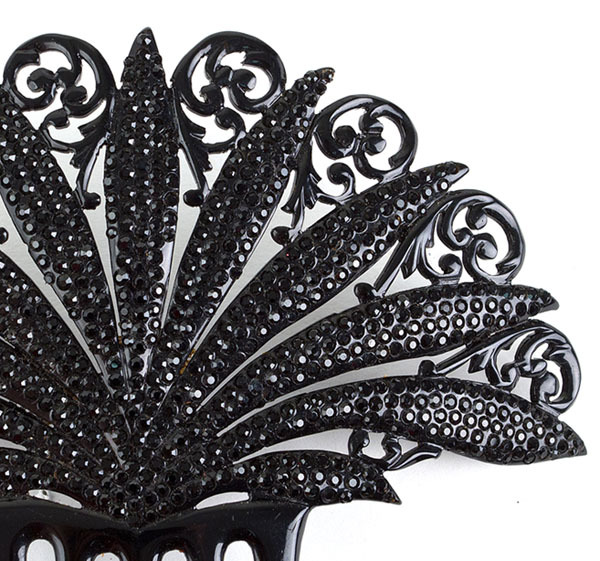 This magnificent large comb is a masterpiece of early plastic work. The intricate pattern is hand sawed and carved and set with more than 1000 tiny faceted jets that sparkle in the light. 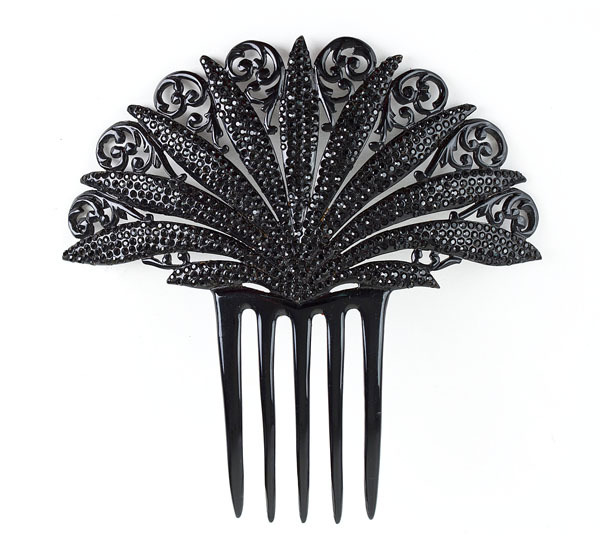 This comb came from the same estate as several of the expensive dresses that have been sold in the 1920s section. The comb is 6 1/2" wide x 6 1/2" tall.